Is A Smart Speaker Worth It? Smart speakers like the Amazon Echo are popping up everywhere. 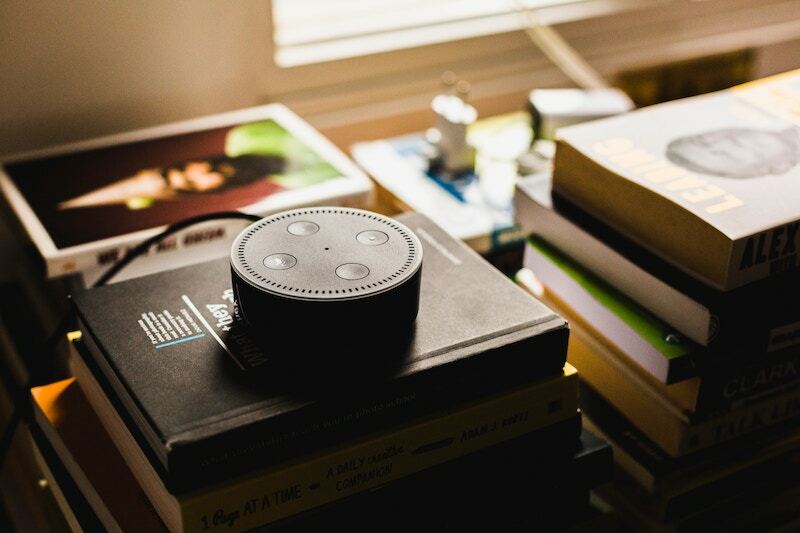 According to a Nielsen study from last September, nearly one of every four U.S. households has a smart speaker with 40% of homes having more than one! I joined the smart speaker club over Christmas when my brother gifted my family an Amazon Alexa speaker. Here are a few pros and cons for you to consider before adding one to your household. The Set-Up: Smart speakers are user-friendly. With the Alexa, all you need to do is install the Alexa app on your phone, plug the Alexa into an outlet and then the app walks you through the whole set up. The Spy Factor: Privacy is a major concern regarding smart speakers. Once powered up and connected to your Wi-Fi, it is listening in your home 100 percent of the time. Listening is its core function — it needs to hear you say the “wake” word to then process your question or command. Amazon claims that it only starts recording once it wakes up, but there is no way to know for sure. Ultimately you need to decide if the benefits of owning a smart speaker outweigh the risk of potentially giving up some privacy. Educating the family or making them unintelligent?Ever since the internet became available on handheld devices, the need to think through problems has decreased. It is often debated that having the answers to almost everything at our fingertips can suppress cognitive development. According to the National Center for Biotechnology Information (NCBI) that line of thinking might not be correct. The study of the relationship between brain development and technology is still in its infancy and test results are often counter-intuitive. The conclusion? No one knows! Personally, I’ve been amazed at the education it can provide my family. You can ask Alexa how to make something in the kitchen and she will walk you through the recipe step-by-step. If my kids are doing homework and need help on how to solve a math problem, she will teach them how to come up with an answer to the problem. Alexa can also teach you a different language! Will I lose my manners? A smart speaker doesn’t require you to say “please” and “thank you” to get what you want. A simple command is all that is required. The Atlantic published an article pondering how giving verbal commands to a smart speaker with the “casual rudeness” that is required could possibly change the way we talk to people over time. A good defense against losing your politeness is to be self-aware of your speech to others, including Alexa. The number of things Alexa can do hasn’t ceased to amaze me. She can stream music and news, set alarms or timers, tell jokes, recite recipes, be used as an intercom, remind you when your favorite TV shows are on. You can also connect your Alexa with other smart devices that you may have in your house such as Phillips Hue lighting, the Nest thermostat, smart vacuums, and Kevo smart lock to name a few. On Alexa you can also order anything from a pizza to an Uber. Cost: The price point of smart speakers varies. Don’t forget there are less inexpensive versions such as an Echo Dot that you can try it out for a while and see how you like it. If it goes well, you can spring for the larger model and move the smaller version to another room in the house. There is obviously no shortage of opinions regarding the use of smart speakers in the home. Ultimately, it’s up to you to decide if it fits with your lifestyle. I know I sure love mine!